You can get a free eBook just for being an IHG member (so anyone can get a free one). Redeem it through the IHG app! My IHG Q3 Accelerate Offer Is Actually OK! How’s Yours? I’ve gotten some pretty terrible IHG offers from IHG’s various “Accelerate” promotions (including one that required me to stay at a hotel brand with only 2 locations). But their new Q3 Accelerate offer is actually… kind of OK (but couldn’t they come up with a different name for it? Even the URL is bland lol). It’s not worth moving a minor mountain for or anything, but it seems I can stay at an IHG for 2 nights in September 2016 and earn an extra 35,000 IHG points. I should say up front: I really wanted to stay at the Hilton Osaka, but there wasn’t availability – paid or with points – for my dates. 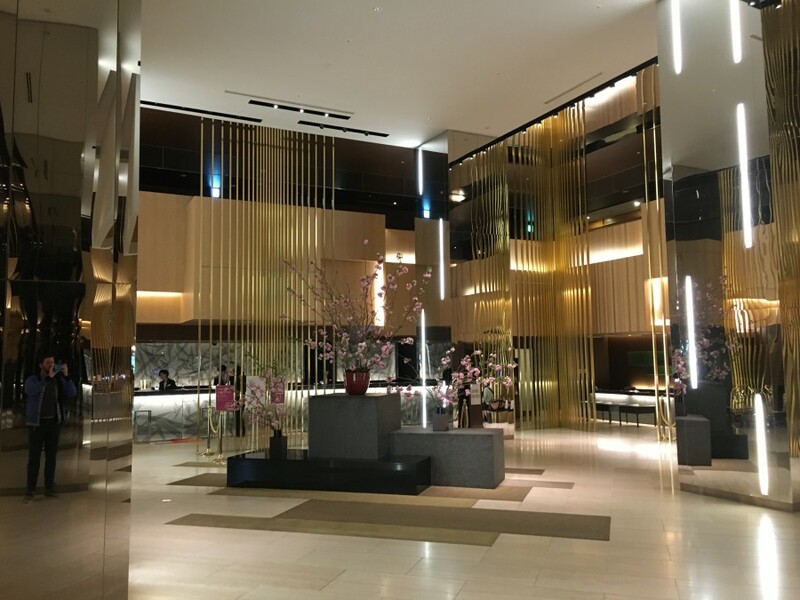 The only thing available as far as chain hotels was the ANA Crowne Plaza Osaka, an IHG hotel. It was between this and an Airbnb. I’ve written about the incredible value you can get with the annual free night from the Chase Hyatt card at Hyatt Category 4 hotels. A hotel I listed as an “honorable mention” is the Hyatt at The Bellevue in Philadelphia. For my last weekend as a New Yorker, I’ll actually be in Philly, at this Hyatt. Jay and I both recently got our free night certs and I’ve been itching to burn them. We got a super deal on a weekend getaway. This is an awesome example of how easy it is to get value from the Chase Hyatt card. The annual free night makes it well worth keeping! Pardon me if this post sounds incredibly naïve. But I was under the impression that for the IHG Set Your Sights promo that I would have to go to a different state to complete it. Now it seems I have a choice. Resigned to completing the other 3 out of 4 requirements, I quickly saw that I’d have to trek to Connecticut to play this round. Ha, I will in no way debate the pros and cons of those two places, don’t worry. But now I could simply check into the Holiday Inn Express here in Brooklyn – with a daily rate of ~$85 a night – and save myself a whole heap of cash… but lose out on 12,000 IHG points. The only hitch right now is that my upgrade to Platinum hasn’t been applied yet, and I don’t even have the card in hand. If those two things were in place, I think I’d just go ahead and pull the trigger on this… and the rates when those two things coincide with each other might be very different than $85/night. The other thing is that I will miss out on 12,000 IHG points by staying local. But then again, I just got 2,000 points for opening the card (that I wasn’t expecting) and my bonus was 10,000 points higher than the offer in the promo… so there’s my extra 12,000 points right there. Now it’s just a matter of how crazy for points I want/can afford (with money and time) to get, how the rates change, and when my upgrade will be applied. IHG is watching! And now I can choose whether to go to Connecticut and get 12,000 extra points or stay in NYC, get less points, and save money. I’ll wait until 1). I have the card in hand so I can meet minimum spend and earn 5 points per dollar and 2). my Platinum status upgrade is applied. I want that 50% bonus! I’m having fun with this promo and getting more familiar with a new (to me) program. And, in a bigger picture kind of way, it seems like mattress running is becoming the new mileage running (going after segments as opposed to miles flown if that makes any sense). Until hotels go revenue based too, of course. Has anyone else been mattress running with the new IHG Set Your Sights promo? Worth it or nah?